Sometimes there is sewing for deadlines and sometimes there is sewing for fun. And this Mini Quilt is exactly the latter. 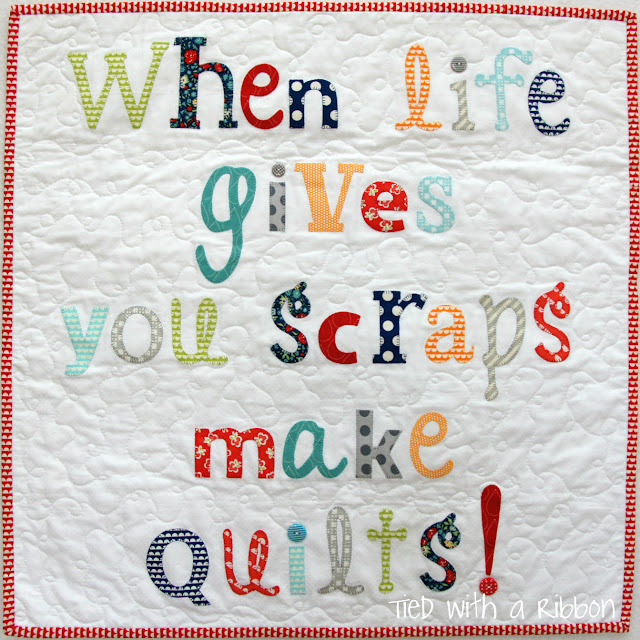 "When life gives you scraps" is a reminder of how much sewing is always there when things are tough. 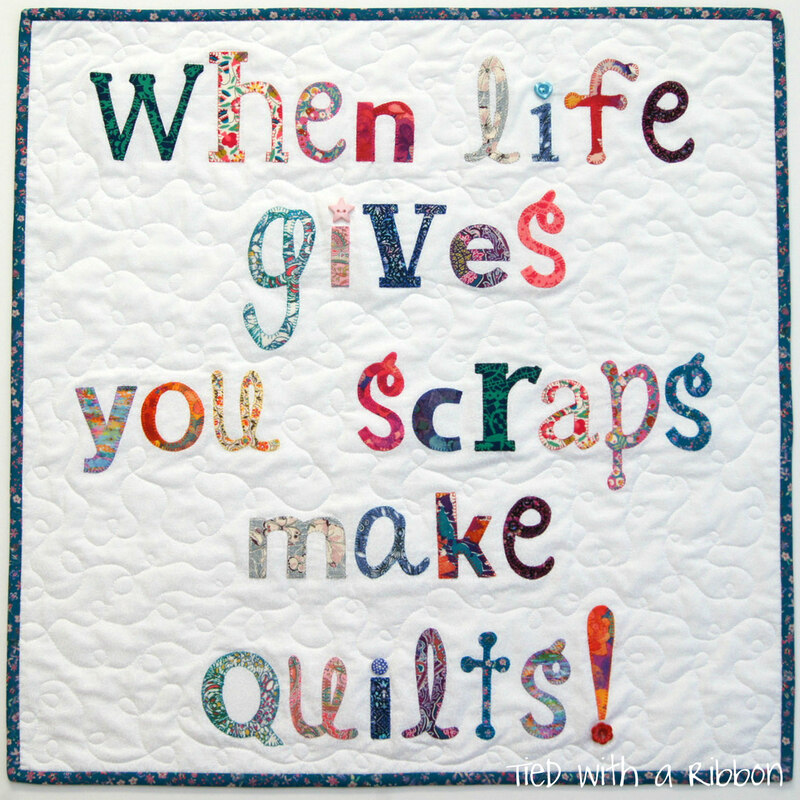 This version was made with my stash of Thimble Blossoms fabrics. You can make this quilt to gift or to hang in a sewing space just like I have done. 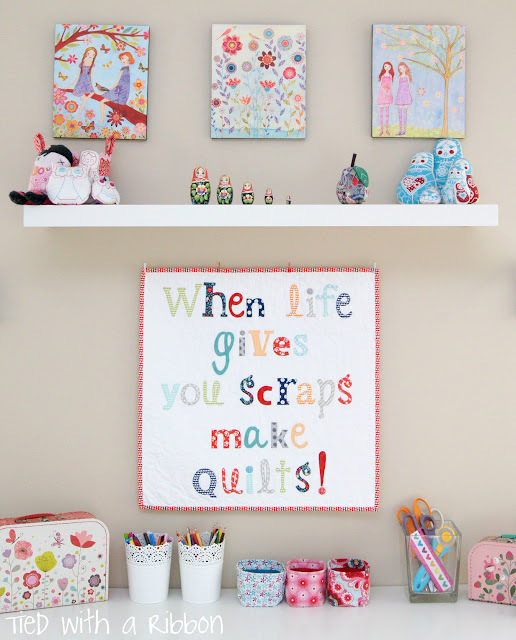 This quilt can be made using your favourite Appliqué Method. So whether you love to Hand sew or Machine sew your Appliqué you can pick and choose. 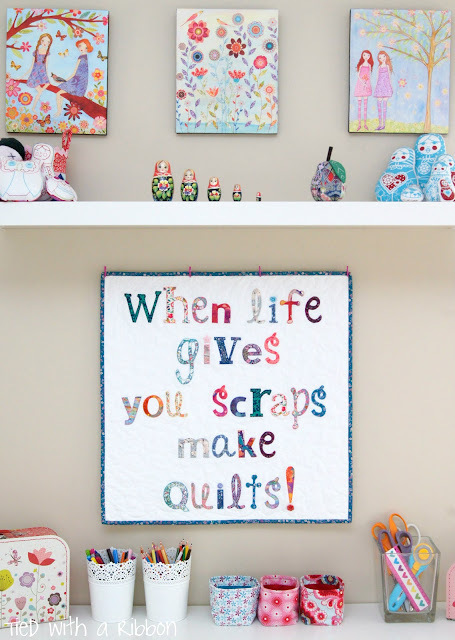 This version has been made with Liberty fabrics from Ava and Neve. These fabrics are so bright and bold and the prints for this new season are stunning. 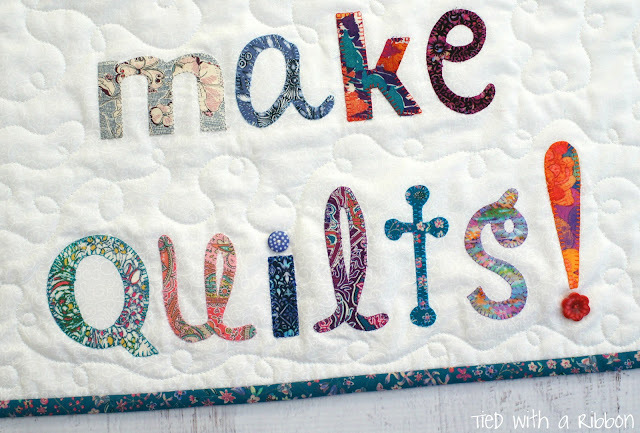 This fun Mini Quilt pattern is now available as a PDF download at my Website or Etsy store.